In 2017 Luuk Adema (A.G.S.R. Gyas) and Melvin Twellaar (G.S.R. Aeigr) took the 4th place at the World Rowing Under 23 Champioships in Plovdiv in the double sculls, after just a few weeks of preparation. 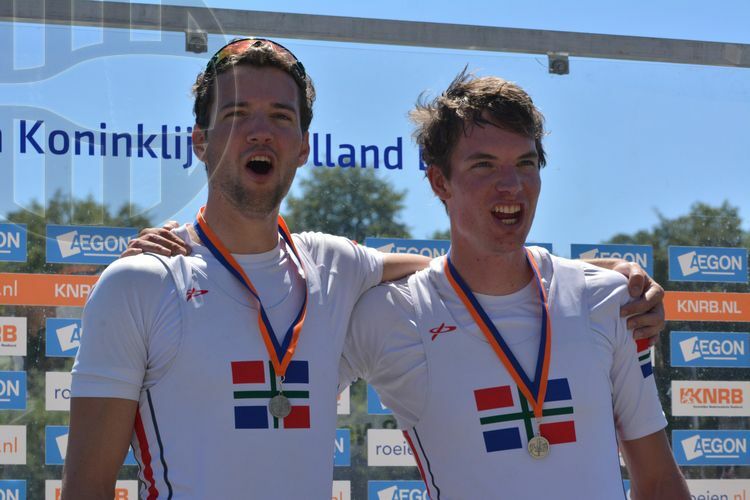 Luuk and Melvin go way back, they rowed together as juniors at the Royal Rowing club the Hunze. After that both went to another student-rowing club; Aegir and Gyas. This year both rowers reunited to made a commitment at the start of the new rowing season. The goal: to row the double at the World Rowing Under 23 Championships in Poznan, and to win a medal, gold If possible. On the road to Poznan they had their share of success: Melvin winning the Under 23 National title in the one-man boat, succeeding Luuk who won the previous year. Winning the under 23 field at the International races in Essen, winning the National title in the double sculls, putting the pressure on the national team in races , rowing to an 8th place at the World Cup in Luzern and winning a bunch of other national races. The “Groninger-double” was ready to race. Late July the races took off. 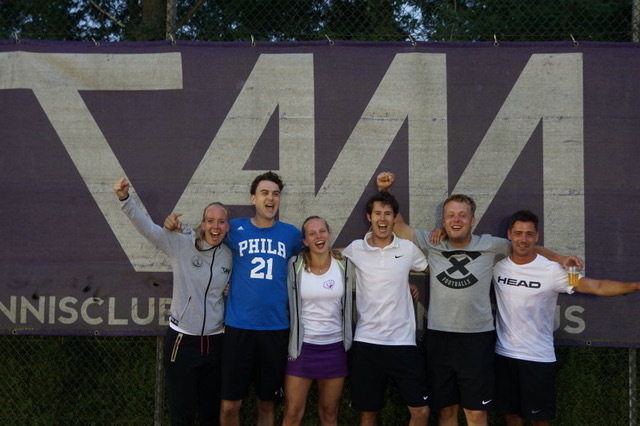 Luuk and Melvin put their mark on the tournament right from the start; winning both heats and semi-finals. In the final the double sprinted towards the finish line along with the Greeks and Polish-teams. The Greeks took the win, the Polish team ended in third place, Melvin and Luuk took the silver at the World Rowing Championships under 23! TAM is proud that you can put down such a high-level sporting performance aside studying! TCBOO has kept TAM the solitary champion for years. Thanks to you, we have gained a remembrance we will never forget. It is 17:00. The final runners of the RUG/Hanze ACLO university team are getting ready for the final race of the 46th Batavierenrace. The other 23 athletes have given everything they have got to give the final runners a head start. These athletes are waiting along with others on the track in Enschede. They are enjoying their well deserved drinks, even though the tension rises for the final runners. The team leaders look back to the past days. Cancellations because of injuries in the days before the race and even on the morning the team leaves for the relay race. All (old) team leaders can confirm that you have to think quickly, especially when a team has to meet the requirements of the university classification. 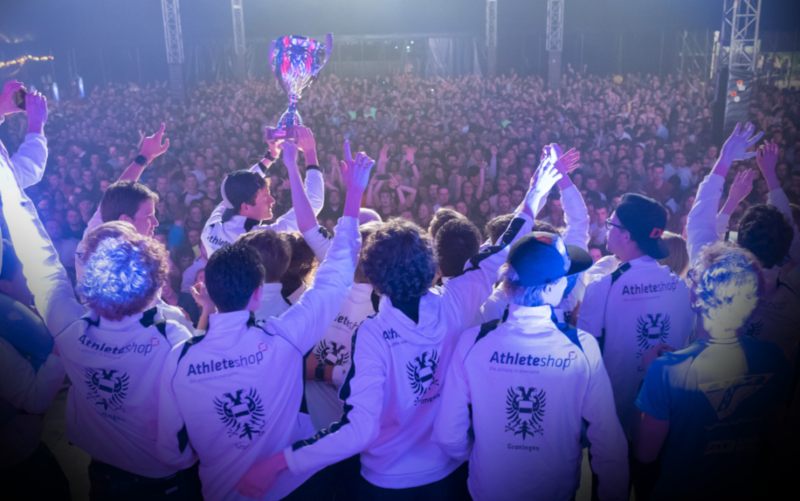 Three years passed without grabbing the trophy, it is now or never. 17:20, the starting shot fires and shortly after the first lady from team Groningen comes sprinting to the finish line. Still it remains thrilling, especially when the male runner of Nijmegen has finished a while ago. While everyone is cheering, Groningen is still waiting for the final runner. At this point various people keep up with the time differences, quickly it becomes clear that it will be about seconds. The only thing left now is to wait… Then the last runner of Groningen gets onto the track for his last meters. Combined cheering and shouting with other teams takes him to the finish, but then the uncertainty starts. It looks like the team won with a difference of just a few seconds on a route of 170 kilometres. Only after the protest round is finished and the race management double checked all results the team gets the call. It is official! The RUG/Hanze team won the Batavierenrace 2018 with an average speed of almost 17 kilometres per hour!